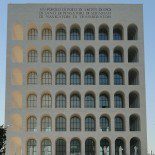 Very few contemporary buildings have been built in Rome since Mussolini’s transformation of the city in the 1930s. So when Anglo-Iraqi architect Zaha Hadid was commissioned to design a new contemporary art museum at the start of the Millenium, it made news. 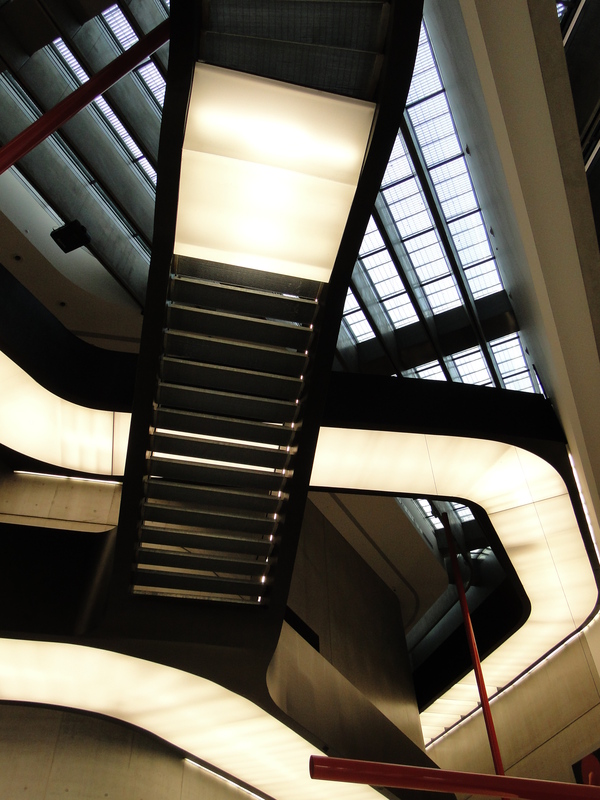 The MAXXI, or museum of art of the XXI century was in the news again very recently when Hadid was awarded the prestigious Pritzker price for architecture for her creation, only a few months after its opening. The building is very distinctive and estetically innovative. Using the space of old army barracks in the Flaminio area north of the city centre, the challenge was to create a large gallery space in a restricted area. Hadid succeeded by creating an L-shape building, which seen from the air, seems to follow the curve of the nearby river Tiber. It is known for having hardly any straight angle, but is all round turns and very sharp corners. If anything, it has a strong identity. Inside, the organisation of the space is hard to grasp at first. It feels like some kind of maze, where the visitor has to wander through relatively narrow corridors opening on to wide gallery rooms with the ground surprisingly unlevelled. It takes a couple of tours up and down the meandering staircases, to begin to understand how the building works. When it opened in May 2010, many commentators feared the building would overshadow the art collection inside, because its design was so strong. As anticipated, this is exactly what is happening at the moment. The art collection is made of the usual great names of contemporary art, such as the likes of Andy Warhol, Anselm Kiefer, Giuseppe Penone, to name but a few, but what is lacking is a thread which would give the collection its meaning. It shows that it is not enough to exhibit a piece of work from each of the great names of the moment, an art collection has to tell a story in a specific context. 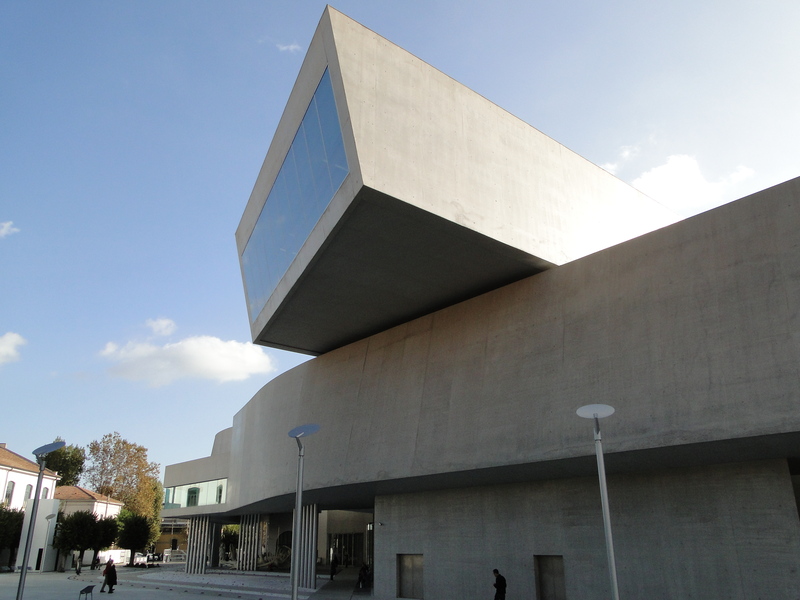 The MAXXI is still a very young institution. It probably needs time as well as funds to build up a permanent collection. It will be interesting to see whether its strong presence will manage to regenerate the area and create a new atmosphere. After all, it is very near the other contemporary building built in Rome in recent times: Renzo Piano’s auditorium, also known as Parco della Musica. In addition, a new bridge is being constructed across the river Tiber, in the continuation of via Guido Reni, where both the MAXXI and the Auditorium are located. So it looks promising for the Flaminio area. This entry was posted on December 6, 2010 by Salambo in Arts and culture, Contemporary Rome, English, Rome's neighbourhoods and tagged architecture, contemporary art, Flaminio, installation, italy, MAXXI, national gallery, parco della musica, Rome, video, Zaha Hadid.